Fast or slow, a wealth of water-based adventures awaits on the California Delta. With 1,000 miles of waterways that include channels going in each direction, the California Delta is one of the world’s top spots for waterskiing, wakeboarding, wakesurfing and other fast-action sports. Just ask barefoot-skiing world-record-holder Michael Temby, who was born and raised in this watersports wonderland. 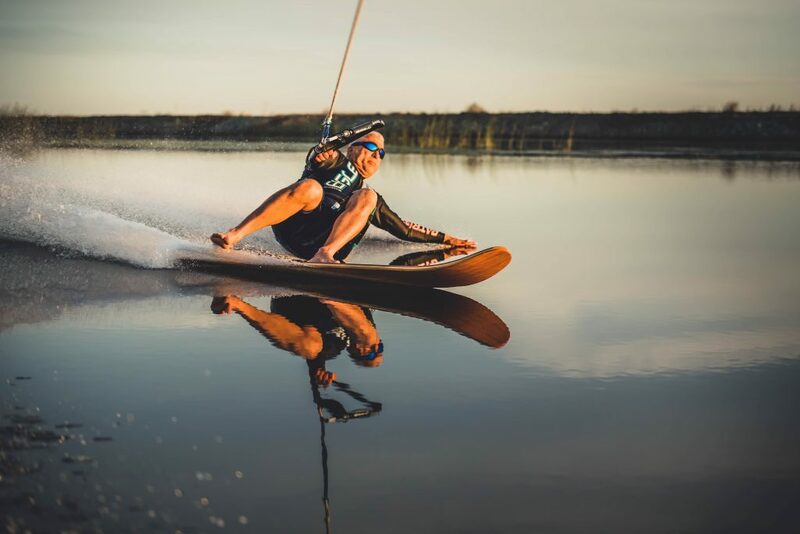 Temby is one of several top watersports athletes from the Delta region, a list that also includes Scott Pellaton (co-holder of the world record for barefoot speed skiing) and waterski hall of famer Mike Avila. This proud tradition is a defining element at Delta Coves, a new private club community where the “old school” and the next generation of watersports champions will both feel right at home. Set on a private lagoon and marina on Bethel lsland, Delta Coves will be home to 500 waterfront residences, each with a private boat dock—and all within just minutes of the area’s famed fast water. Whereas most communities require a long commute to reach the skiing sloughs, Delta Coves offers the equivalent of a backstage pass to the action. Early risers can get out on the still water for a morning of skiing, wakeboarding or wakesurfing, and still have time to get to the office. On weekends, those same enthusiasts can come back home for breakfast after a morning session—then go right back out again until lunch. The Delta, however, isn’t just about going fast. Its waterways are equally conducive to a quiet jaunt in a kayak or on a stand-up paddleboard, or a leisurely cruise to take in the region’s natural beauty. The coves and channels near Delta Coves are also prime territory for fishing, with a range of species luring anglers year-round. In fact, the Delta is considered one of the top 5 bass-fishing destinations in the United States, and its annual Rio Vista Bass Derby & Festival, a three-day celebration held each October, is the oldest such tournament on the West Coast. The area around Delta Coves is also a hot spot for catfish, sturgeon, salmon, shad and other species. 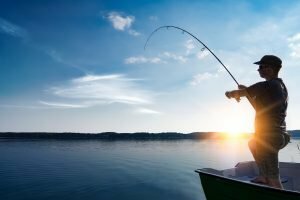 The community’s proximity to good fishing holes means that residents can get an early jump on other anglers—and get to know the best spots like only a local can. Delta Coves residents can even fish—and swim—off their own private docks. The community’s lagoon stretches throughout the development, offering a tranquil place to drop a line, take a swim or go for a paddle. The protected harbor is also a perfect place to learn early boating and floating skills—all just right out your back door. That back door is the key to the water-based lifestyle at Delta Coves. With a spacious back deck and private dock, each house at the community is a gateway to the great California waterway, where sport, leisure, education, friendship and nature all combine.